Some of the hottest and trendiest celebrities are wearing chunky Y-Shape necklaces around the city and on red carpets. Whether the ladies are heading to work or attending a charity event, a chunky, Y-necklace elevate their looks in a strong, confident manner. A wide-bead or wide-link necklace can spruce up a look that might at first glance seem cute and fun and increase it to glamorous look, like Blake Lively pictured below. Blake Lively adorns her gypsiesque, soft, natural, and light outfit with thick, note-worthy necklace. Burdeen's Chunky Vintage Y-Necklace Pronounces the Neckline and ChestJennifer Connelly graces the red carpet in an intricate, vintage-looking chunky Y-necklace. 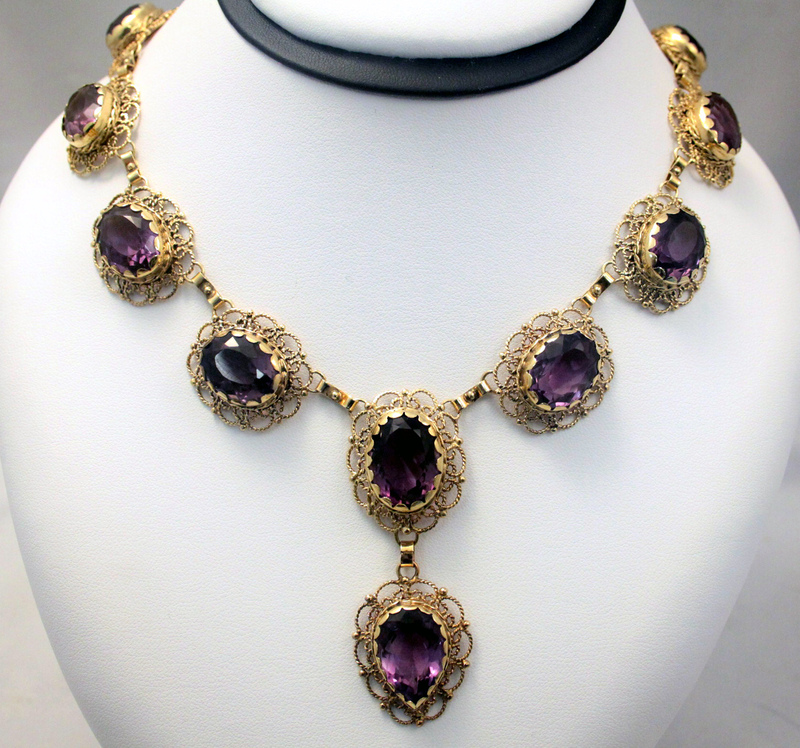 This Burdeen’s necklace can lift a simple looking dress to that of a rich outfit. Salma Hayek is dressed in a lovely gown and complements it with her layered necklaces, including an intricate, chunky, vintage necklace. 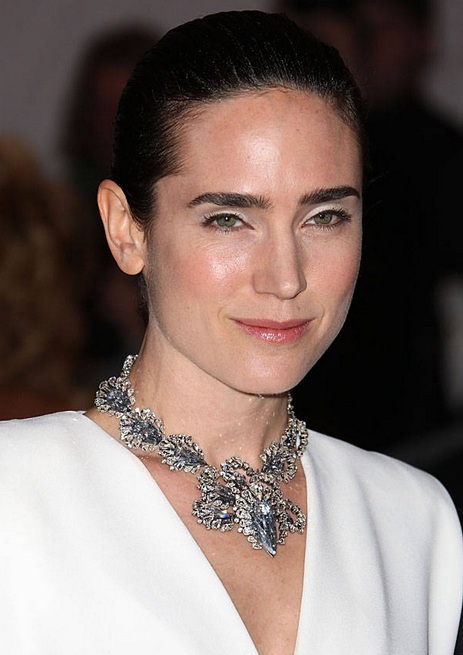 Jennifer Connelly graces the red carpet in an intricate, vintage-looking chunky Y-necklace. This entry was posted in ***Timepieces and tagged Blake Lively, Chunky Necklace, Jennifer Connelly, Red-Carpet Looks, Salma Hayek, Vintage Jewelry, Vintage Necklace, Y-Necklace. Bookmark the permalink.